Today, we are sitting in the studio listening to final mixes and by this evening we will almost be FINISHED (with this part of the recording process, anyway). It's hard to believe we made it. It's been a year filled with it's own struggles and pay-offs. With all that being said, I'm going to pick up where I left off on the previous studio post. 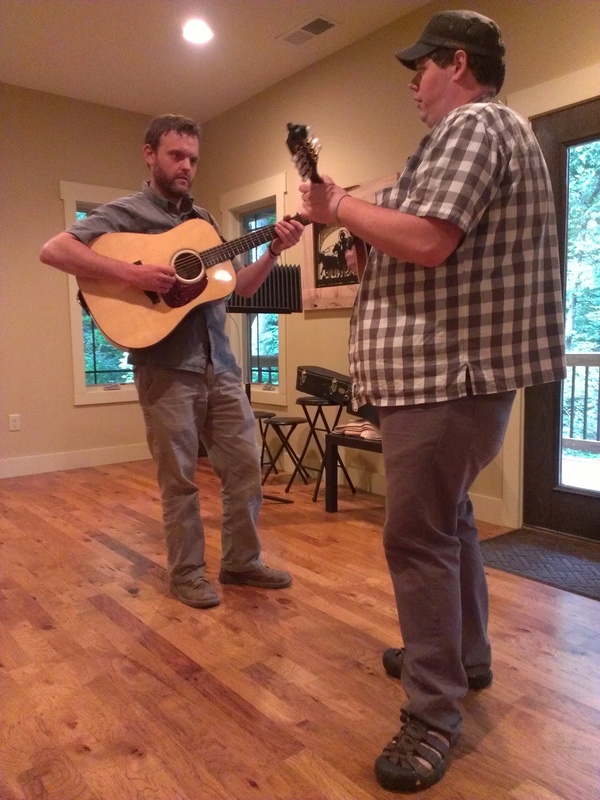 After we recorded at Compass last July, John and I came back to Asheville to finish things up. Our good friend, Rudi Ekstein, who we met at The Bywater bluegrass jams, also happens to be a talented engineer and producer -- and bless his soul, he agreed to help us edit the tracks and finish our album. Rudi's studio is in his house and is conveniently near where we live. As time allowed, we trudged over to his house a couple of times a week to whittle away at our tracks. In the meantime, we wrote a few more songs, practiced at home, played out whenever and wherever we could, and kept working away at the album. We've made so many awesome friends here in Asheville -- this music community is extremely special -- and we asked a few folks if they would like to have a guest spot on the album -- those collaborations are always fun! You can click the photo gallery below to see a few photos from the past couple of months and if you want to see even more, find us on Instagram to see all of the studio pics. The talented Drew Matulich playing guitar on our instrumental track, Carolina Fox Chase. 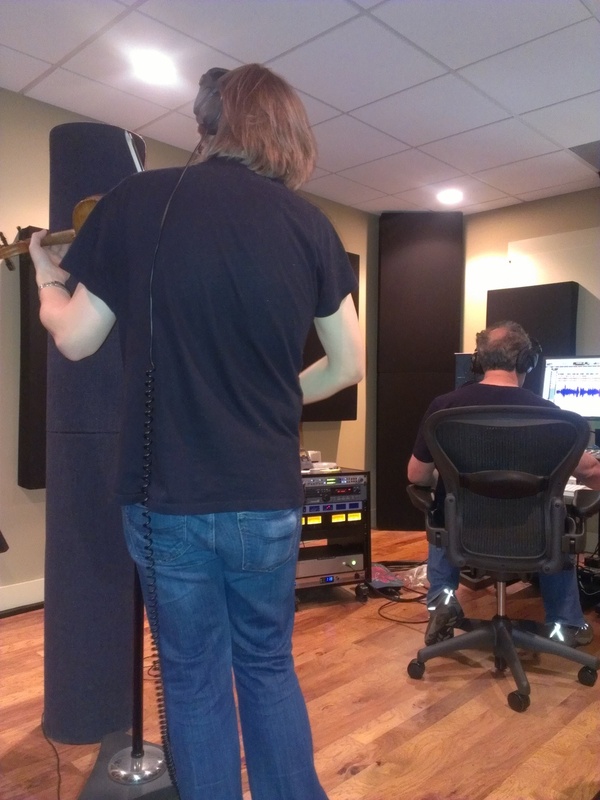 The awesome and funny Nicky Sanders of The Steep Canyon Rangers crushing minds with his fiddle licks on 3 tracks. Two of my favorite gals, Amanda Anne Platt (The Honeycutters) and Annie Myers singing harmony on an a capella spiritual. Rob Parks playing bass on four or five tracks (you'll see him at shows with us quite often). And last but not least, one of our favorite bluegrass voices, Robert Greer of Town Mountain, with his twangy harmony vocals for our country tune! We're putting the final touches on the songs and will be mixing away all evening! 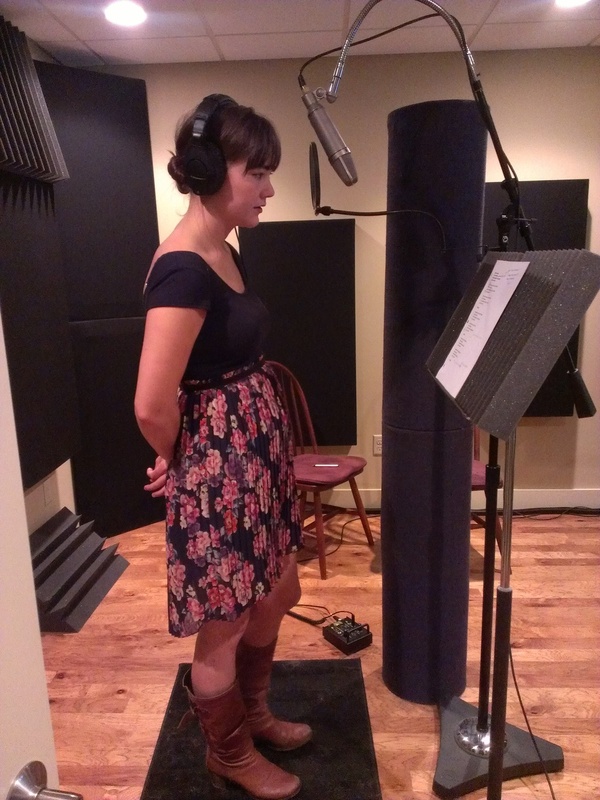 Our tracks will be sent for mastering to my good friend, Kent Bruce, who is the studio engineer at Malaco Records in Jackson, Mississippi -- my old stomping grounds! Once that's done, it's off for replication and we'll have them in our hot little hands by September. Seriously?! YEAH.